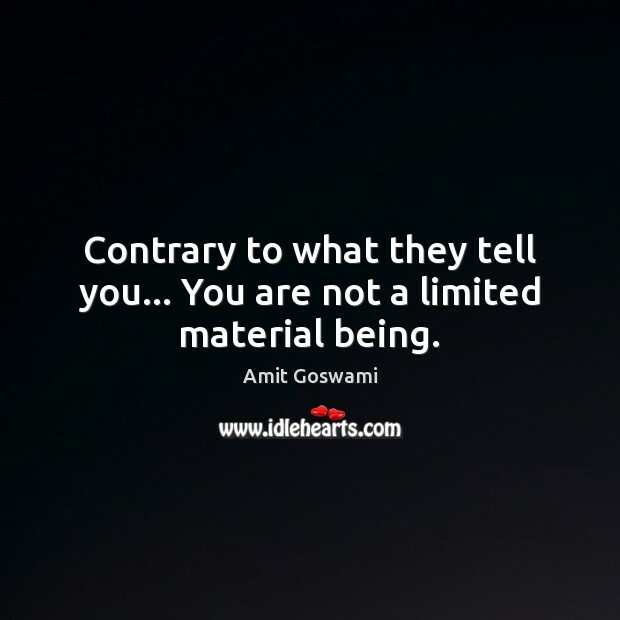 Enjoy the best inspirational, motivational, positive, funny and famous quotes by Amit Goswami. Use words and picture quotations to push forward and inspire you keep going in life! 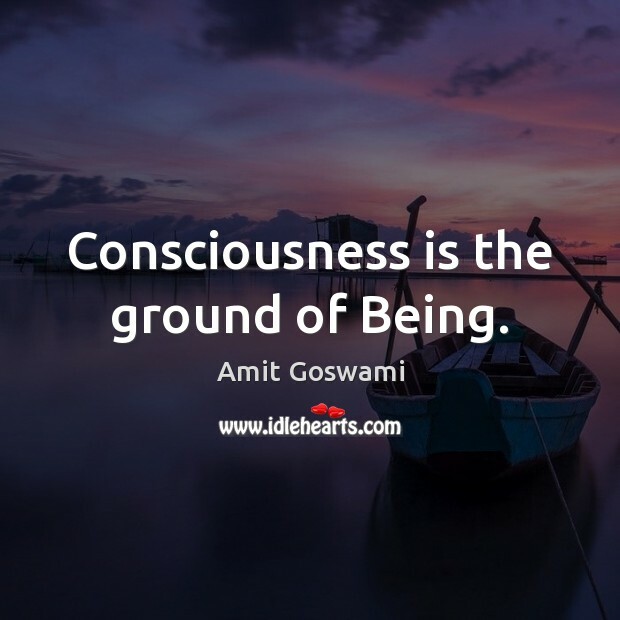 Consciousness is the ground of Being. 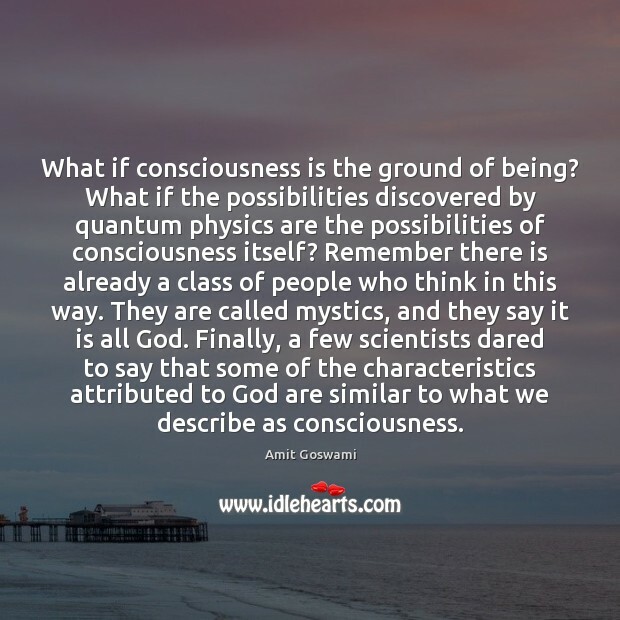 Consciousness does matter. Matter is secondary. 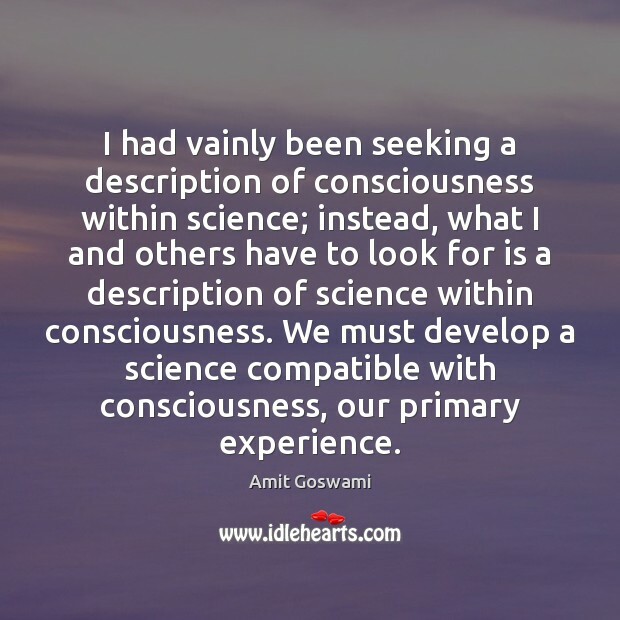 Consciousness is primary. 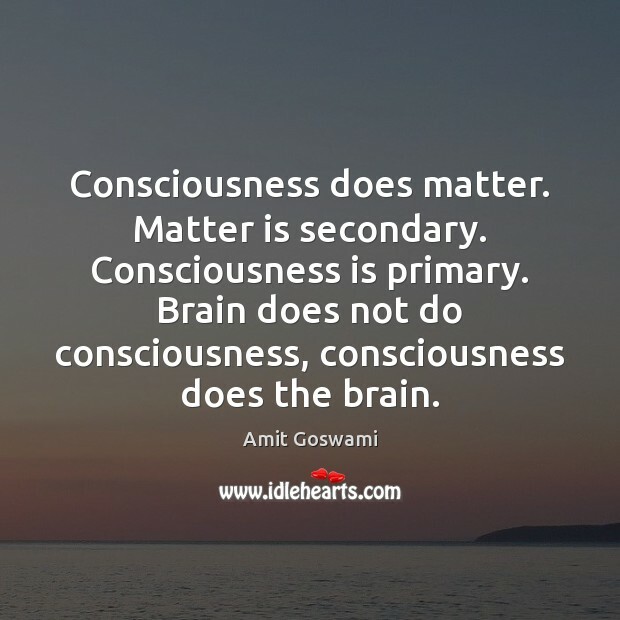 Brain does not do consciousness, consciousness does the brain. 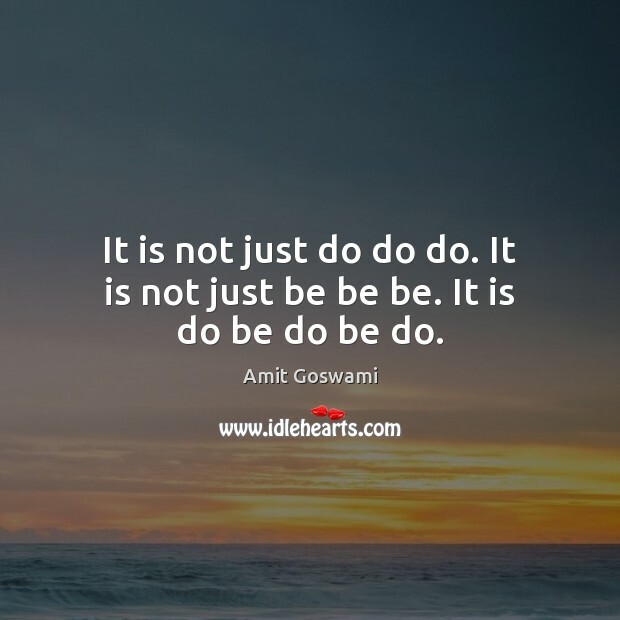 It is not just do do do. It is not just be be be. It is do be do be do. 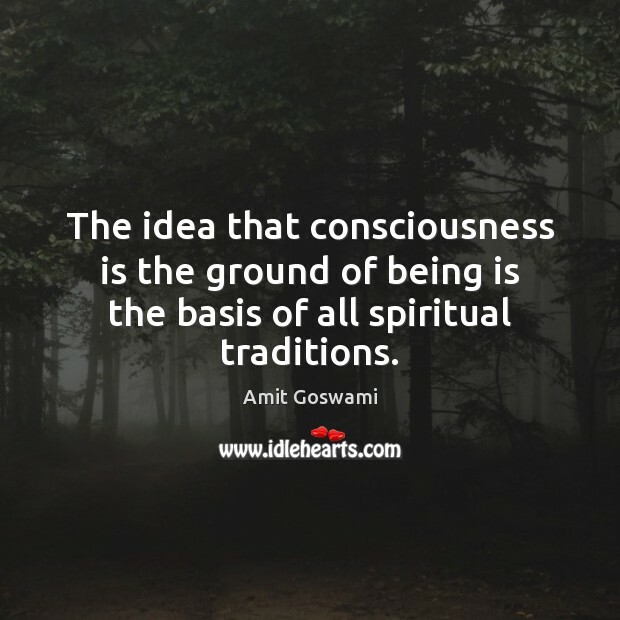 The idea that consciousness is the ground of being is the basis of all spiritual traditions. 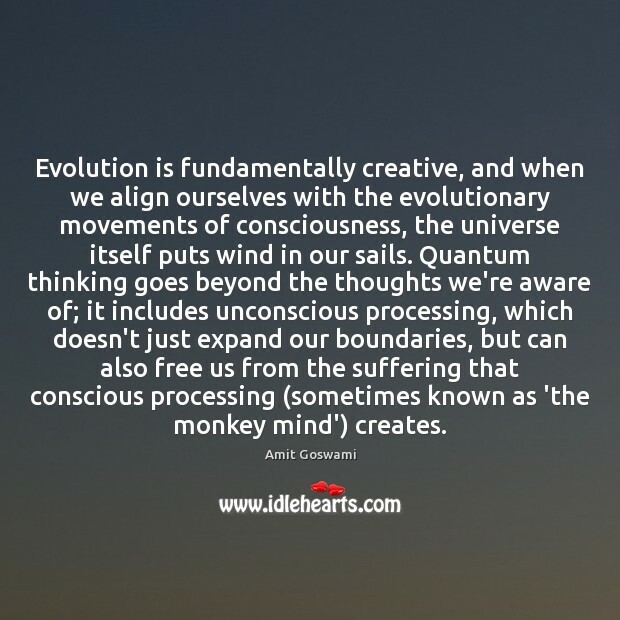 Evolution is fundamentally creative, and when we align ourselves with the evolutionary movements of consciousness, the universe itself puts wind in our sails. 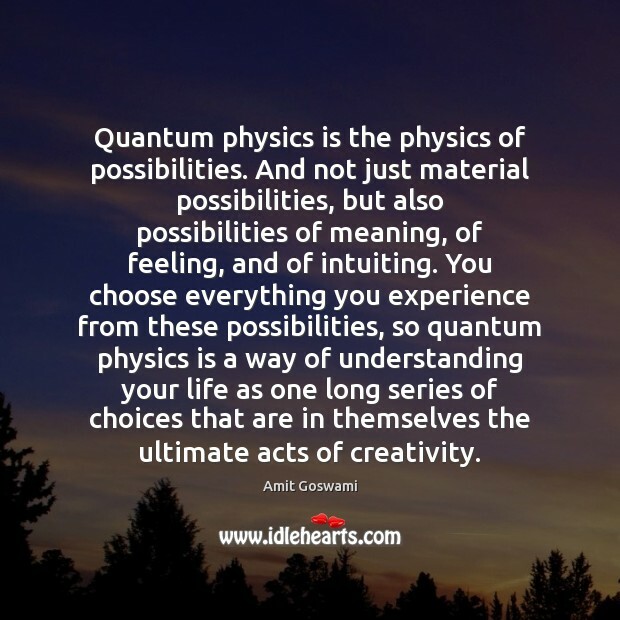 Quantum thinking goes beyond the thoughts we're aware of; it includes unconscious processing, which doesn't just expand our boundaries, but can also free us from the suffering that conscious processing (sometimes known as 'the monkey mind') creates. 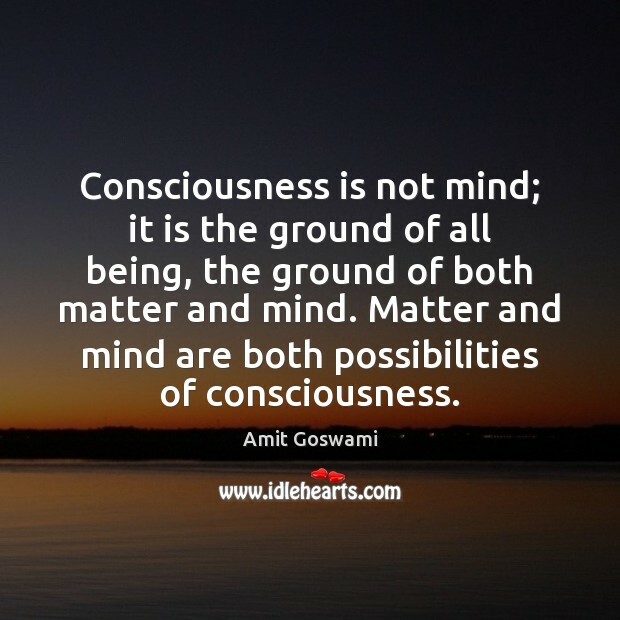 Consciousness is not mind; it is the ground of all being, the ground of both matter and mind. Matter and mind are both possibilities of consciousness. 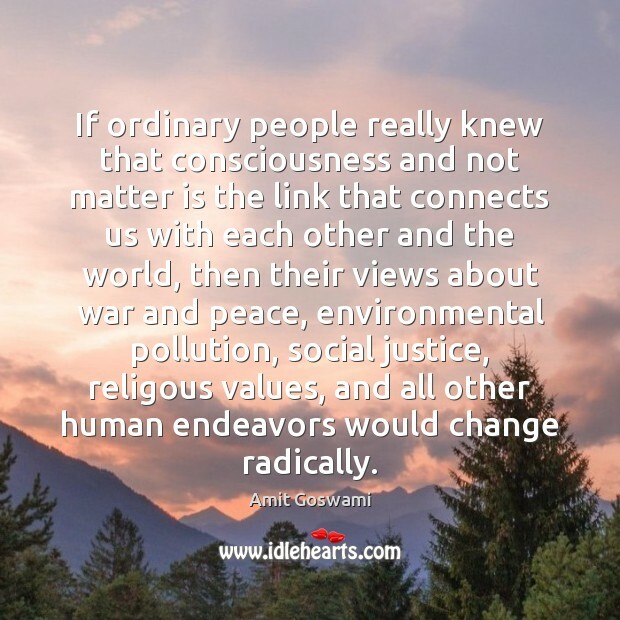 If ordinary people really knew that consciousness and not matter is the link that connects us with each other and the world, then their views about war and peace, environmental pollution, social justice, religous values, and all other human endeavors would change radically. 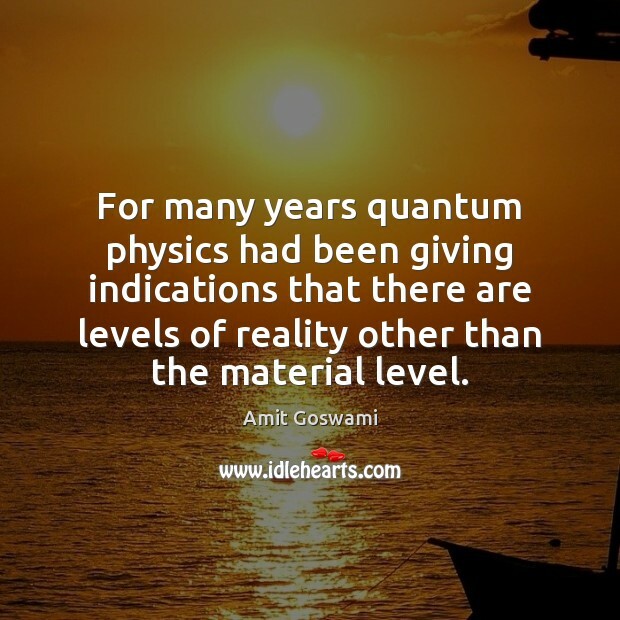 For many years quantum physics had been giving indications that there are levels of reality other than the material level. 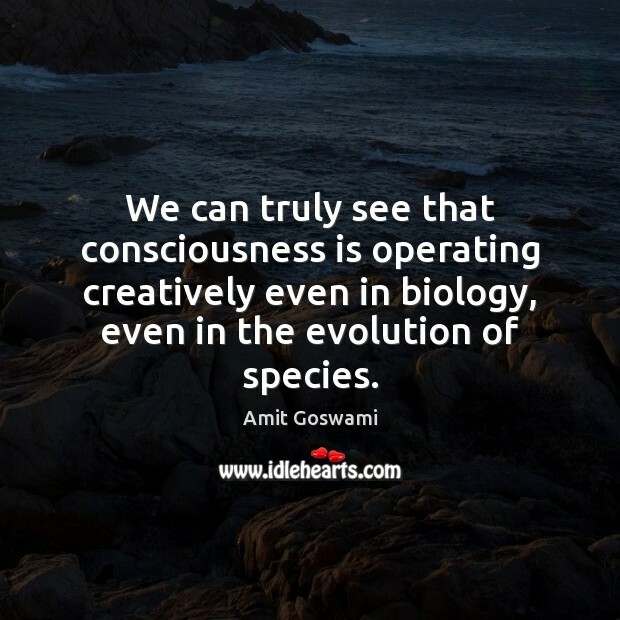 We can truly see that consciousness is operating creatively even in biology, even in the evolution of species. 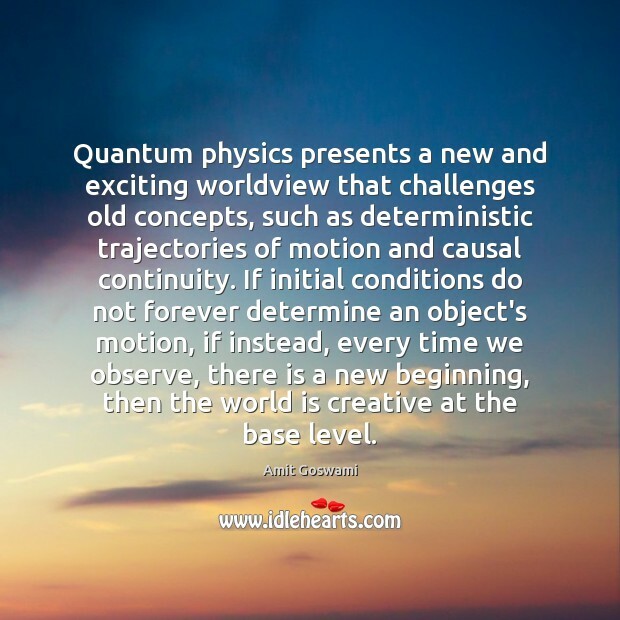 Quantum physics presents a new and exciting worldview that challenges old concepts, such as deterministic trajectories of motion and causal continuity. If initial conditions do not forever determine an object's motion, if instead, every time we observe, there is a new beginning, then the world is creative at the base level. 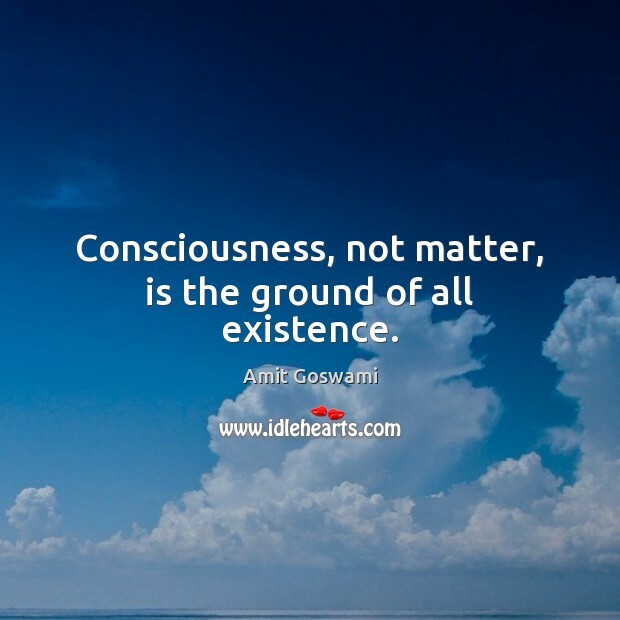 Consciousness, not matter, is the ground of all existence. 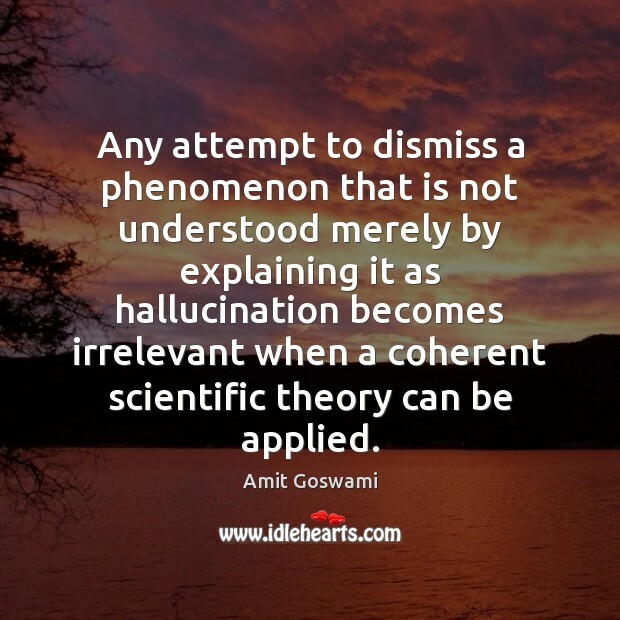 Any attempt to dismiss a phenomenon that is not understood merely by explaining it as hallucination becomes irrelevant when a coherent scientific theory can be applied. Objects obey quantum laws- they spread in possibility following the equation discovered by Erwin Schodinger- but the equation is not codified within the objects. Likewise, appropriate non-linear equations govern the dynamical response of bodies that have gone through the conditioning of quantum memory, although this memory is not recorded in them. 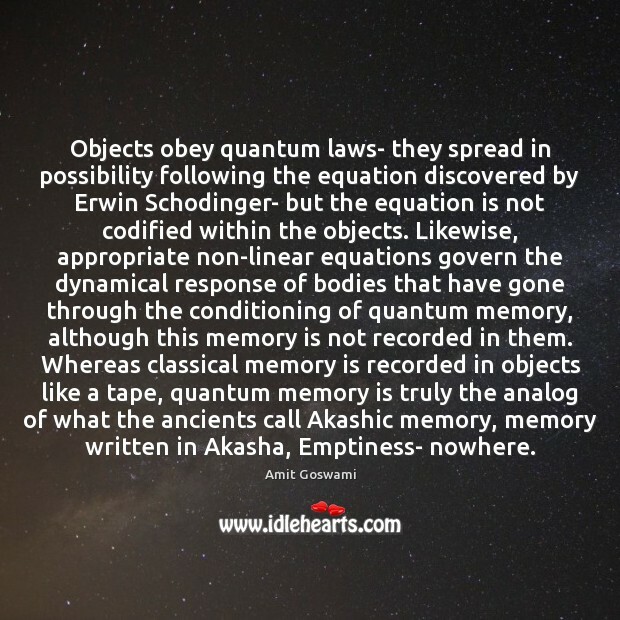 Whereas classical memory is recorded in objects like a tape, quantum memory is truly the analog of what the ancients call Akashic memory, memory written in Akasha, Emptiness- nowhere.